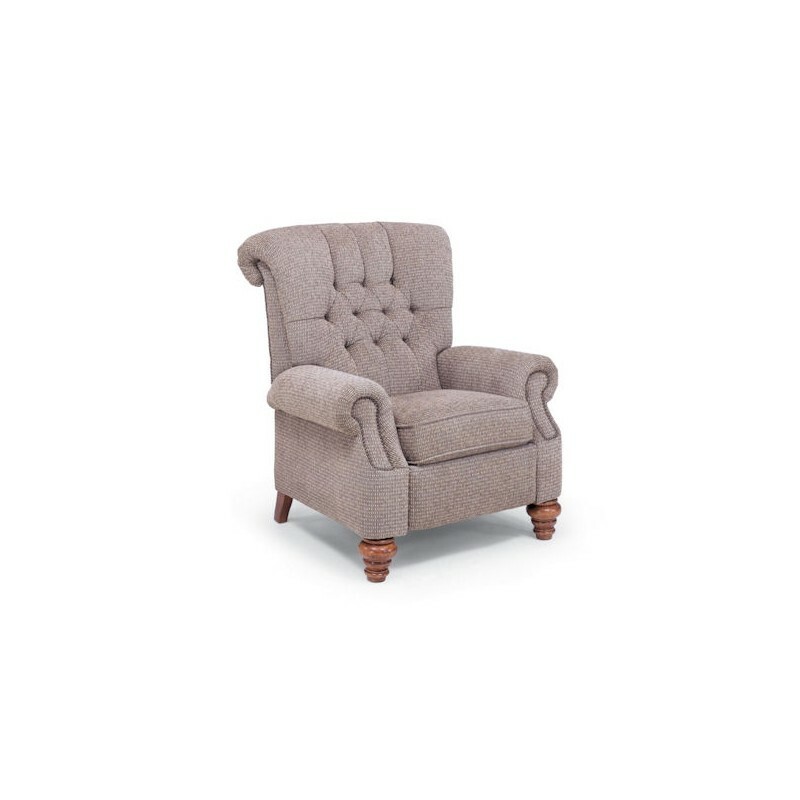 The Equestrian recliner features a classic traditional look with a deeply tufted rollover back. 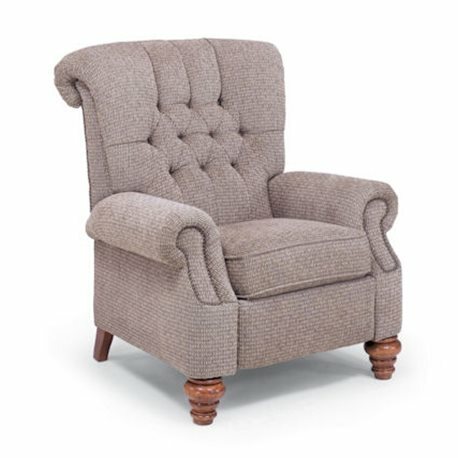 welted seat, deeply padded rolled arms with nail head trim. The turned legs in your choice of finish compliment the style perfectly. Choose a custom fabric from our large selection.